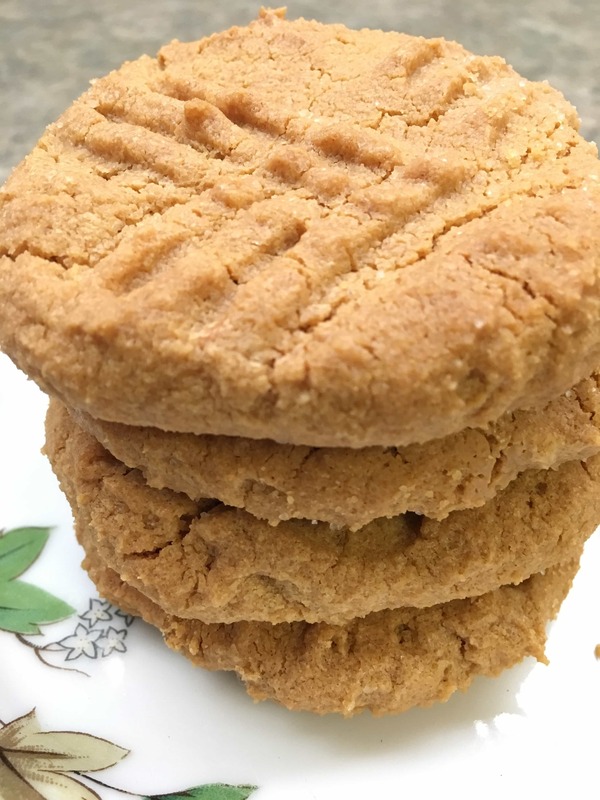 This might possibly be the tastiest and easiest recipe for gluten-free peanut butter cookies. The recipe only calls for three ingredients, and the cookies bake up in no time. Seriously, I love peanut butter cookies. When a friend told me about the recipe, I was pretty excited. And when I get a craving (and who am I kidding, it’s often), I love the fact that these babies are simple and quick. Who wants to wait an hour to whip up all the ingredients, and wait for even more for them to bake? Not this girl. See recipe and instructions below. 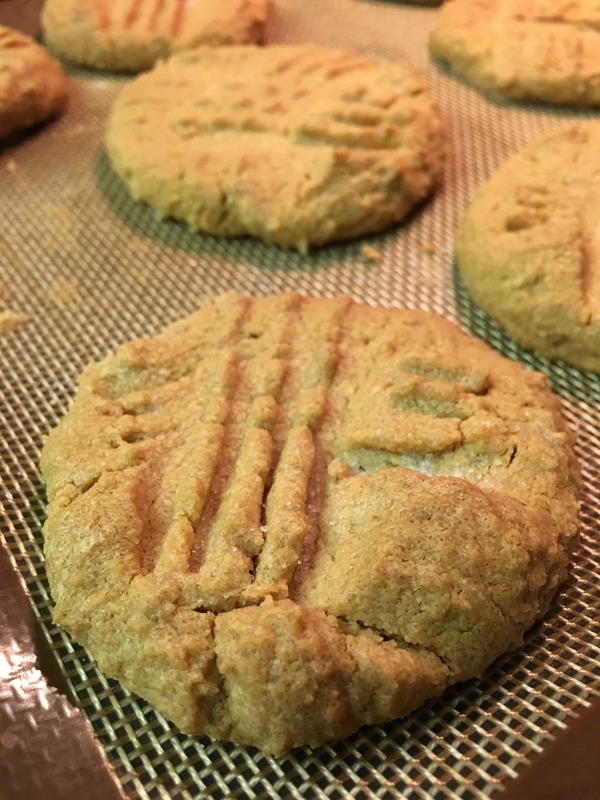 The night before Easter, I made the gluten-free peanut butter cookies to take to our family picnic. As usual, (sheepish grin) I had to be super careful not to hog them all to my myself. I even felt a little guilty when I wouldn’t let my husband have one that night, but I could not resist and snuck one. Shhh… I ended up giving him a cookie that night. I ended up making another batch this afternoon, so I could have a few to take to work this week. They were sitting on top of the stove to cool, and between the two of us, we ate quite a few. 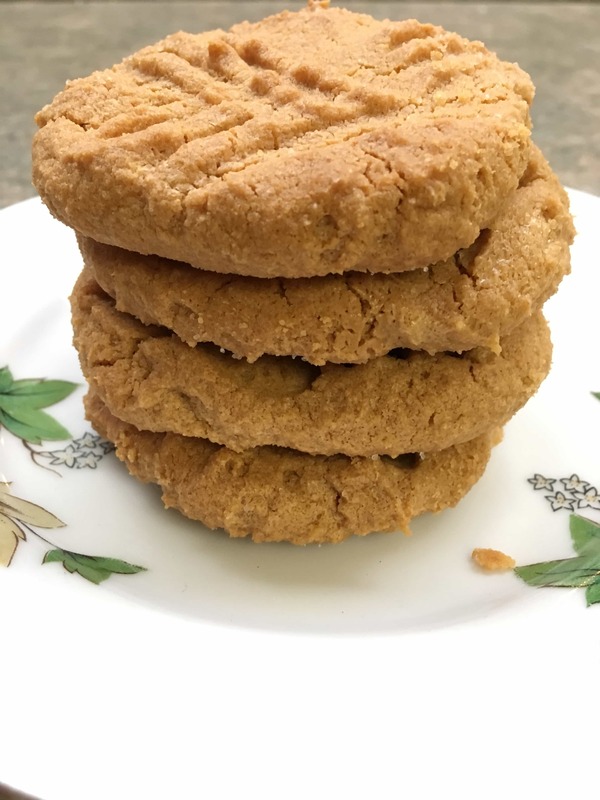 But, thankfully, the peanut butter cookies are so easy to make that it’s nothing to whip up another batch. It’s an entirely different issue to keep from eating all of the cookies. If you stick to a gluten-free eating plan, these are the perfect dessert. And, it’s only three simple ingredients, which most of us have sitting around the house. All you need is peanut butter, egg, and sugar. That’s it. Done. The hardest part is cleaning the peanut butter off the spoon. I don’t know the science behind the difference between a metal and stoneware cookie sheet, but these cookies seem to cook better on a stoneware cookie sheet. (I’ve made them on my silicone mat, and they came out fine, but I like the stone better). They will be a bit crumbly while they are still warm. If you can (it’s tough, I know), let them cool and they will harden. I was worried the first time I cooked them that they would fall apart, but once they cooled, they were perfect. 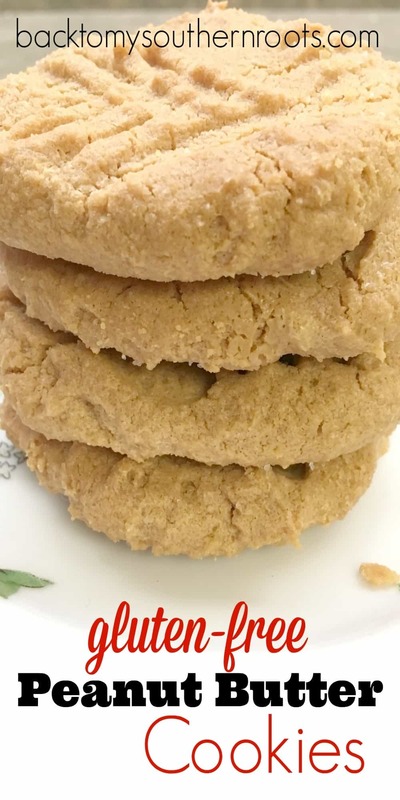 If you’re taking the gluten-free peanut butter cookies to a party, you can easily add some clear sparkling sugar, some red and green decorative sugar for Christmas, or pink for Valentine’s Day. No matter what you choose to do, the cookies are amazingly delicious. Place all of the ingredients into a medium-sized bowl, and mix together. Shape the dough into 1" balls and place onto a cookie sheet, approximately 1" apart. Spray a fork with non-stick spray, and flatten each ball with a criss-cross pattern. Sprinkle 1 tsp. of sugar on top of the cookies. Bake for 15-20 minutes until the edges are golden brown.